Miners below ground in the mine. This year, there has been a huge push in mine safety by the Division of Mine Safety (DMS), in the Kentucky Department of Natural Resources. 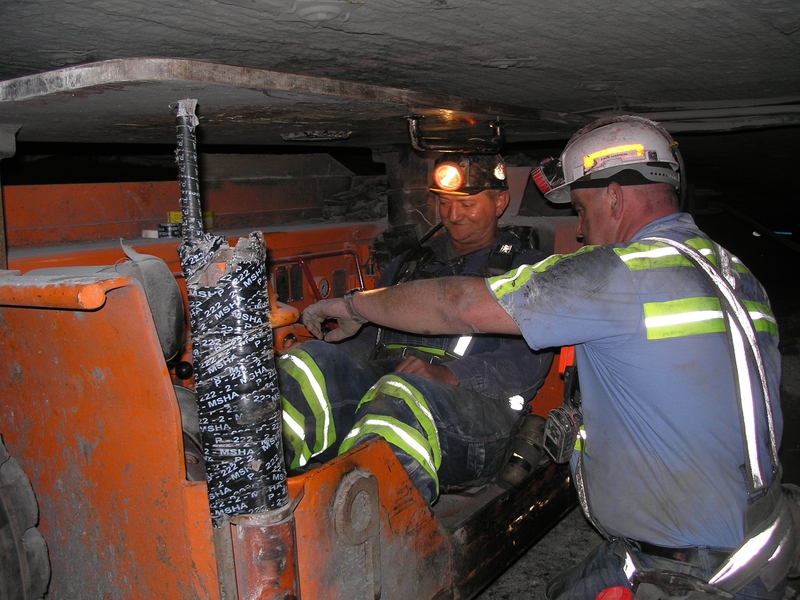 The Division’s “Nobody Gets Hurt Today” campaign is part of its effort to ensure that injuries and fatalities do not have to be part of the mining business. One of the many mines in Kentucky. Since the last fatal mining accident in Kentucky during 2017, the Division has moved aggressively to make miners safer through a behavior-based analyst process that can remove risk from the workplace through on-the-job observation of risk behaviors and actions. The goal is to let Kentucky’s miners know exactly what risks are causing injuries and prevent them before they occur. According to Vicini, Kentucky has suffered two fatalities in each of the past six years. Currently, Kentucky has gone 11 months without a death to date. Beginning in the second half of 2017 and continuing through to the present, DMS has performed 2,531 on-the-job observations and approximately 86 percent of the time there were no risks observed. The remaining 14 percent of the time, personal, protective equipment, pinch points and line of fire created personal risk factors. These risks came from a combination of mine conditions, equipment and most often, behavior. The process DMR is using for Mine Safety in Kentucky. Over the past few decades, statistics show that approximately 80 percent of injuries and fatalities are the result of miner behavior. Specialists in 2018, as part of their observations, are discussing the cause of the risk, the solutions and are asking for a commitment from all mining staff to do the job in the safe manner. By continuing these observations and correction processes along with enforcement, the Division will be able to gather data and use that information to alert the mining industry to the most common causes of injuries and fatalities. Staff also are using safety talks, safety alerts and bulletins to improve safety. An analyst works with mine staff above ground. Providing on‑the‑job feedback to individual miners and to correct any unsafe or potentially hazardous action or condition is another tool DMS is using. Currently the Kentucky DMS is the only agency in the nation to adopt a mine safety analyst program.